What can I say about this couple and journey we took to get this shot? Having been flown out to Capri, Italy for their pre-wedding shoot, this was where the groom had proposed to his bride to be. It meant there was a sentimental attachment to this location. 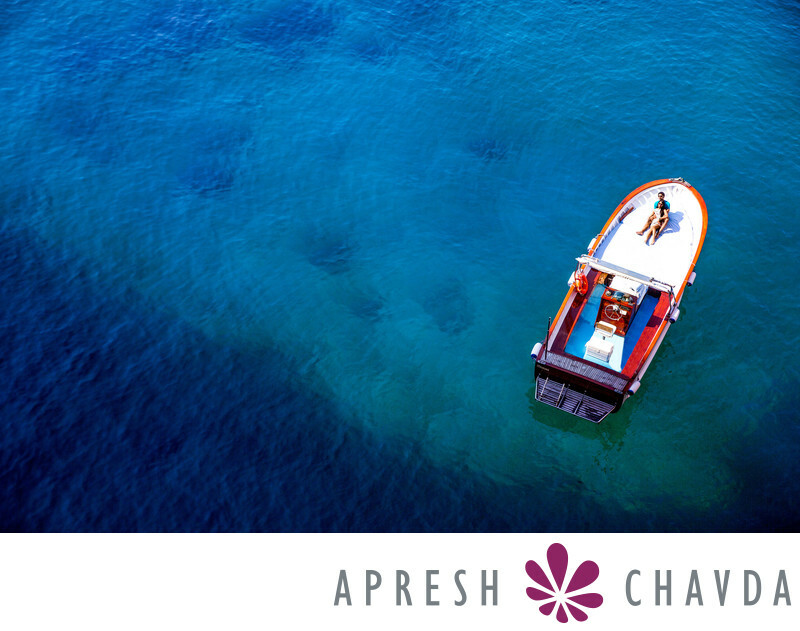 The island with its bountiful backdrops and beautiful seascapes is any indian wedding photographers’ paradise. This image came about as I ascended up the rugged rock face and as I looked below at the couple the image materialised! I knew this was going to be epic shot so with a little direction to the couple this was the outcome. The sun was above me which gave the sea a vibrant deep blue translucent look.